Ogura S.A.S. is the European subsidiary of Ogura group. Established in France since 1998, Ogura S.A.S. has been attending to the study, the realisation of every model of clutch, brake or Super Charger type compressor fitted to your needs. We hope you will find in this website the necessary information. For more specification, do not hesitate to contact us. 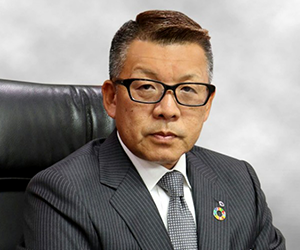 03/08/2019 : Mr Ogura, President of Ogura Clutch Co., Ltd., recently gave two interviews to Newsweek International and The Worldfolio.